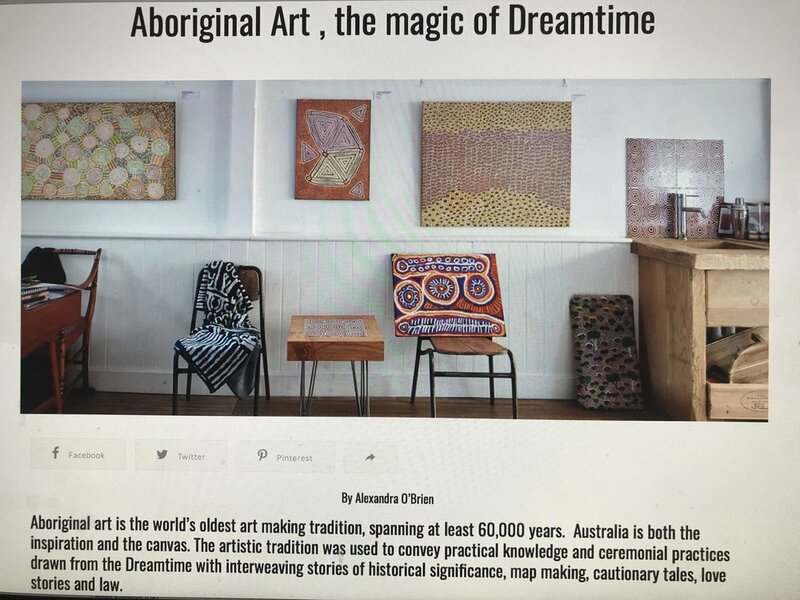 Bay Gallery Home recently wrote a feature article about Aboriginal art for London based I-M Magazine (Intelligent Magazine for Inquisitive Minds). An excerpt is available online with the full article published in the new issue now available at all good outlets including Harvey Nichols, Holland Park News, Princess News and Wardour News. The article serves as an introduction to Aboriginal art giving the reader a brief history of Aboriginal art and a broad insight into the different styles and areas the art hails from.